The tale of a little girl at Christmas, her toy nutcracker and their adventure into a kingdom of sweets has become a family tradition for so many during the holiday season. This well-known story of The Nutcracker connects with all ages, filling imaginations with visions of parties, mice, candies, and flowers. A family won’t have to go far to enter this world filled with Christmas magic, snowflakes, sweets, and sugar plum fairies. Tchaikovsky’s The Nutcracker ballet will come alive for audiences at the Sami Center in Spirit Lake on November 30 – December 1. 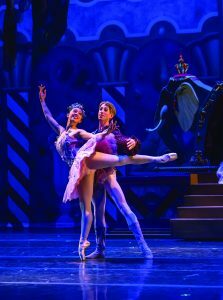 This will be the fifth performance of The Nutcracker in the Iowa Great Lakes area, as American Midwest Ballet Company (AMB) partners with Iowa Great Lakes Nutcracker to produce the professional experience. The dream of The Nutcracker came up in discussions as part of the original Friends of the Sami Center Board. 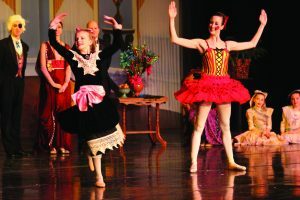 They were looking for groups to bring to the Iowa Great Lakes Area and The Nutcracker ballet was one of the ideas. Fisher was a part of the board, and she researched which ballet companies performed and toured with The Nutcracker within the Midwest, narrowing it down to the Minnesota Ballet and Ballet Nebraska, now AMB. In 2010, the first performance of The Nutcracker took place on the Sami Stage. Since then, it has taken place every other year. When the Friends of the Sami Center Board dissolved, Fisher felt The Nutcracker was vital to the community and wanted to keep the tradition alive. 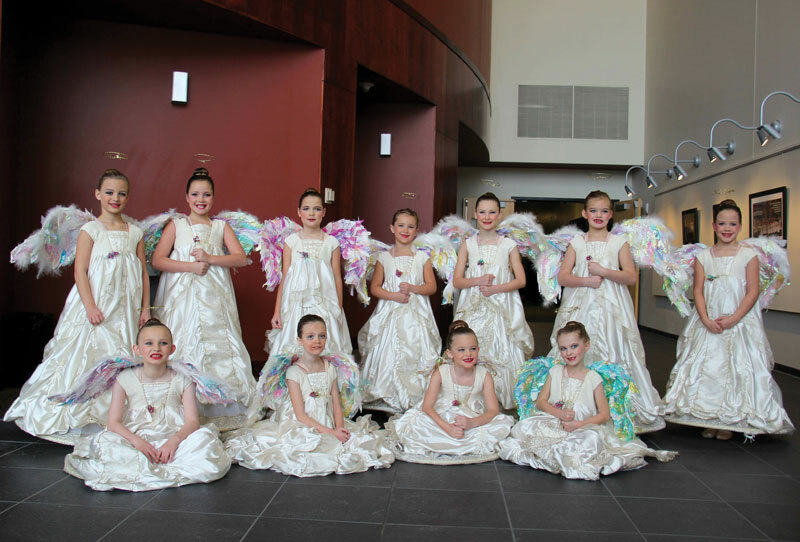 In 2014, the non-profit organization Iowa Great Lakes Nutcracker was created, enabling youth dancers from around the region the continued opportunity to dance with a professional ballet company. Members of the Iowa Great Lakes Nutcracker Board are Kathy Faye, Dawn Fisher, Gary Heady, Jr., and Tracy Johnson. For the 2018 production, AMB conducted youth auditions October 26-28 for local ballet dancers between the ages of 7-18. Lovegood and two other professional company dancers conducted the auditions and staging process for 87 youth from around the region. They separate the boys and girls into three age categories on the day of auditions, looking to see how quickly dancers pick up choreography and understand the different steps needed for certain parts. On the following day, the parts are released and AMB works with each group over the audition weekend. The youth dancers then work on their parts over the next month. AMB returns at the end of November, with the 27-member ballet company and everything needed for performance week. Fisher agrees as she watches many of these youth dancers blossom and transform into better dancers after the production. The beauty of The Nutcracker is how Tchaikovsky’s music intertwines the story of a little girl and her adventures through charming, Christmas time themes. American Midwest Ballet Company is the only resident, professional dance company in this part of the region and considered the largest with 27 full-time, adult professional dancers. AMB is unique because of its diverse repertoire (classical ballets such as The Nutcracker, Swan Lake, and Giselle), as well as contemporary works by famous choreographers such as Harrison McEldowney, Marianna Oliveira, Ann Reinking, and many others. More information can be found at amballet.org/. 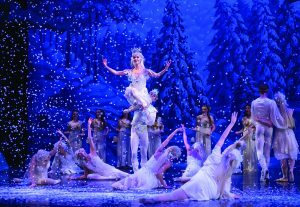 The story is told through AMB’s 27 professional ballet dancers who take the stage in leading roles such as the Sugar Plum Fairy, Snow King, Clara’s Mother, Drosselmeier, and others. 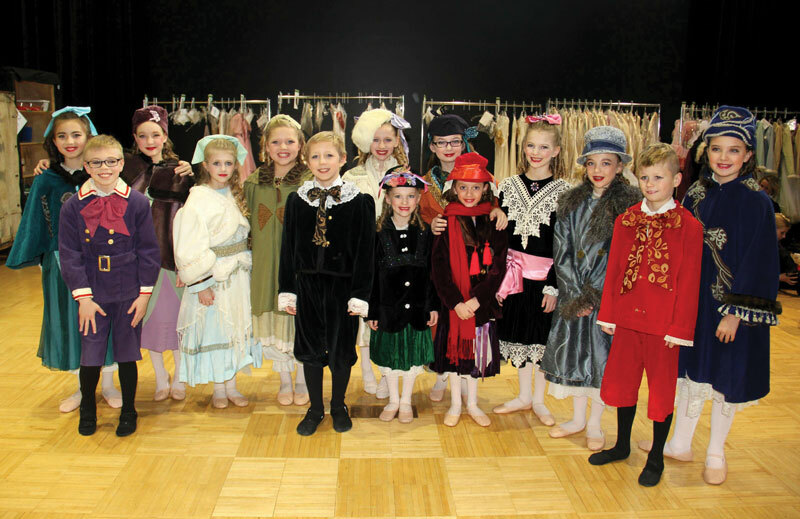 The youth that are casted also dance several important characters in the show, such as the heroine, Clara, the Angels in Act 2, Butterflies in the Waltz of the Flowers, and many others. 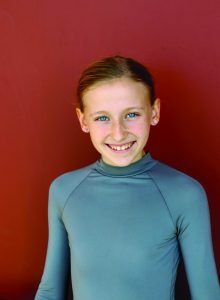 Past Local Youth Selected for the Role of Clara: 2010 – Aubrey Browning 2012 – Anna Ascheman 2014 – Makenna Richter 2016 – Charlotte Pritchard 2018 Clara – Adalyn Schoelerman Adalyn is a seventh grader at Spencer Middle School and has been taking dance at Dawn’s Dance Connection in Spirit Lake for the past eight years. This will be Adalyn’s fourth Iowa Great Lakes Nutcracker experience. Spirit Lake have included new twists to the Spanish Dance or the Cake and Bakers’ scene. This year, AMB’s Director and Choreographer Erika Overturff has re-choreographed the dolls from the Party Scene to include a Porcelain Dall and a pair of Harlequin Dolls. Part of the beauty of the AMB production is The Nutcracker’s costumes and scenery. Deborah Overturff and Thom J. Peterson designed all of the costumes specifically for this production. They are all extravagant and beautiful. The scene design is very innovative, such as Clara’s throne, as the Arabian princess enters in an elephant carriage that later becomes Clara’s perch. Another exquisite piece is the 14' cake on wheels that is a part of the French scene. 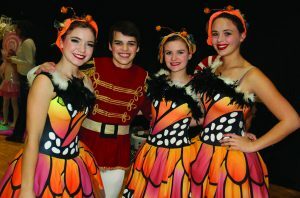 Iowa Great Lakes Nutcracker works in conjunction with American Midwest Ballet, to give students a chance to perform with a professional dance company every other year. More than any other ballet, The Nutcracker is about children and the wonder of childhood. 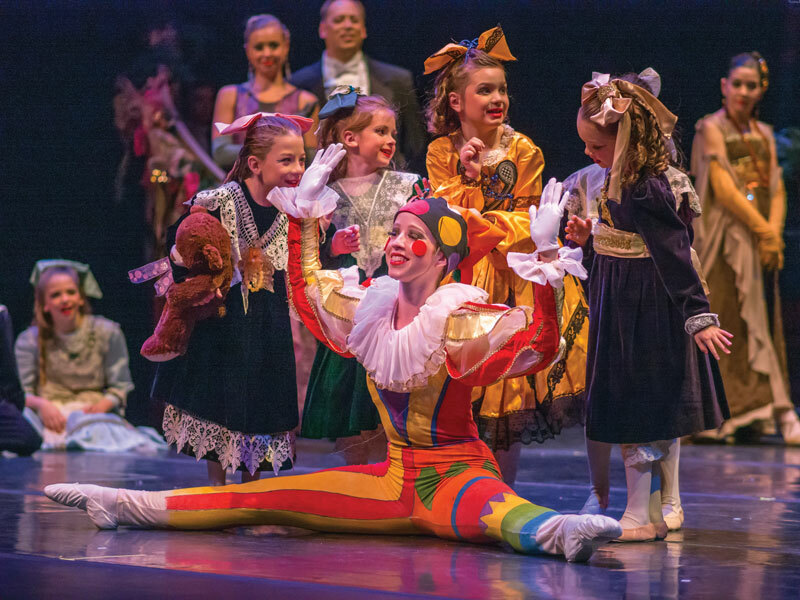 For many, The Nutcracker is the first professional dance performance they will experience, whether it’s viewed from the audience or performed upon the Sami Stage. Maybe it’s the school matinee on November 30. Through it all, the story of a little girl captures the hearts of viewers, making there no need to travel several hours away for this magical professional ballet experience. 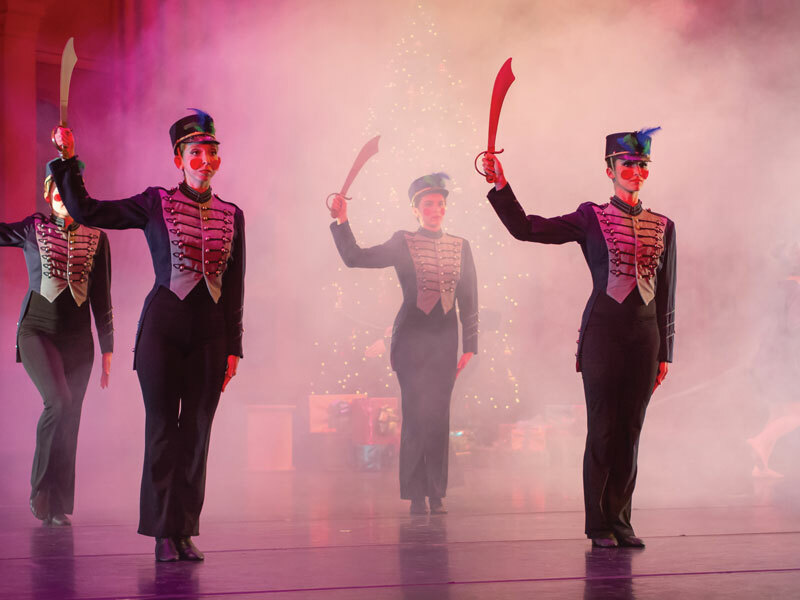 Don’t miss 2018’s production of The Nutcracker in our community—make it one of your family’s traditions this Christmas season!